This is the second week of the challenge Things with Wings over at The Sisterhood of Crafters, I am so pleased I am able to add this card, which I made today. Thanks for the challenge sisters. Little bow from my stash. Use Your Stash - Challenge Flowers - Stash I have used up includes the pretty bow, had this for ages and ages, plus the dark green card stock. Kraft, Black and a small piece of white card stock. Looking forward to popping over to see your creations for our challenge. have fun. Challenge #16 at Cardz 4 Guyz has been chosen by Jan, who decided upon TIME. This is always a popular topic for male cards so we are hoping for a good turnout of entries at the main blog. Please do pop over to see the Design Teams samples for you can't help but be inspired to go off and start planning your project. 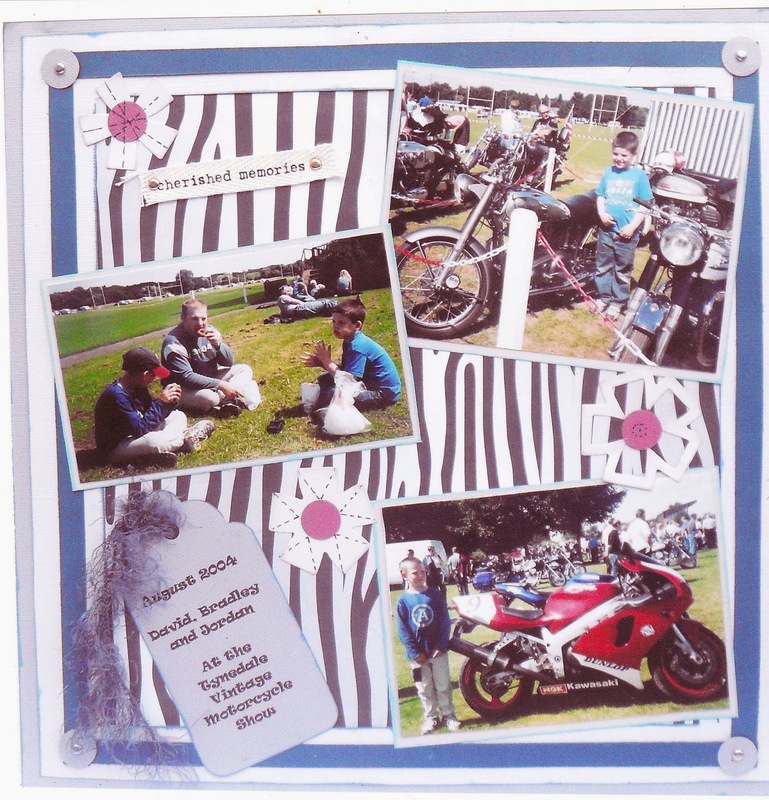 Last week I added on a scrapbook page for the Wheels challenge in an attempt to let all who visit us know we will accept anything which has been created with paper, this includes MDF and the remainder of altered art materials. I am following this on this week with my selection of gifts for a guy. Let me introduce you to them one by one. Inside holder with Gift Card. A Fat Page 4" x 4"
An ATC - Artist Trading Card - 2.5" x 3.5"
Blue and white cardstock, Distress Inks, Chipped Sapphire, Broken China, Tumbled Glass, Faded Jeans. Instructions for the Gift card holder are on You Tube, it is so easy to make. hope to see you over on the Cardz 4 Guyz blog, thanks for taking the time to visit and hopefully comment. 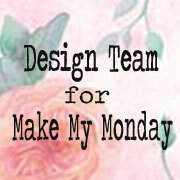 A new challenge starts today at Fantasy Stampers - Distress It!. I love the technique of distressing, you can either be soft and gentle, or shabby chic or go real crazy, get down dirty. I think this card is between the latter two. I'm so sorry for the black areas on the picture, it is actually gold embossing and even after several attempts with the photography the gold still looks black, unlike in real life where it is bright shiny gold. Plain cream card plus two pieces of the same card. Main card, I used a Harlequin stamp with Worn Lipstick DI, 2nd generation random stamping. Mat card was embossed in an embossing folder - brushed with Brushed Corduroy DI The edges of the mat card were scraped with the inside of a pair of old scissors, then the brushed Corduroy was rubbed on the edges. Ribbon and bow, rose and hat pins added top the mat card. The main image was torn, brushed with Brushed Corduroy around the edges. French Rose stamp from Inkylicious stamped with Versamark Heat embossed using white detail powder. Worn Lipstick DI rubbed all over the card - Resist Technique I sprinkled Gold EP and sprinkled pink and white Frantage EP - heat embossed Curled up the edges, added to the card. I hope you like it and forgive the lack of photography for this particular card. 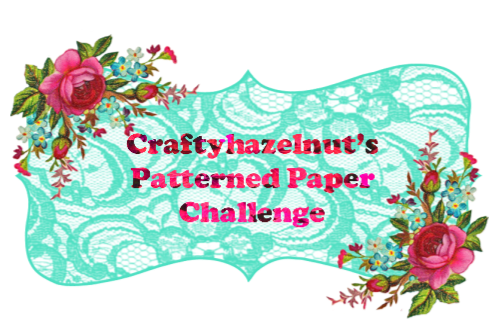 Please pop over to Fantasy Stampers to see the wonderful inspiration for the Design Team, we would love for you to enter this challenge, if your stressed then go for it, get down and get DISTRESSED! At My Time to Craft this week, it seems so apt, for after having a beautiful sunny Easter in the UK, here we are nearing the end of April with April Showers, we are looking for Umbrellas in this challenge, so have fun everyone. I decided to go grungy with this card. For the background I used a piece of blue paper and stamped raindrops all over it in Chipped Sapphire Distress ink. 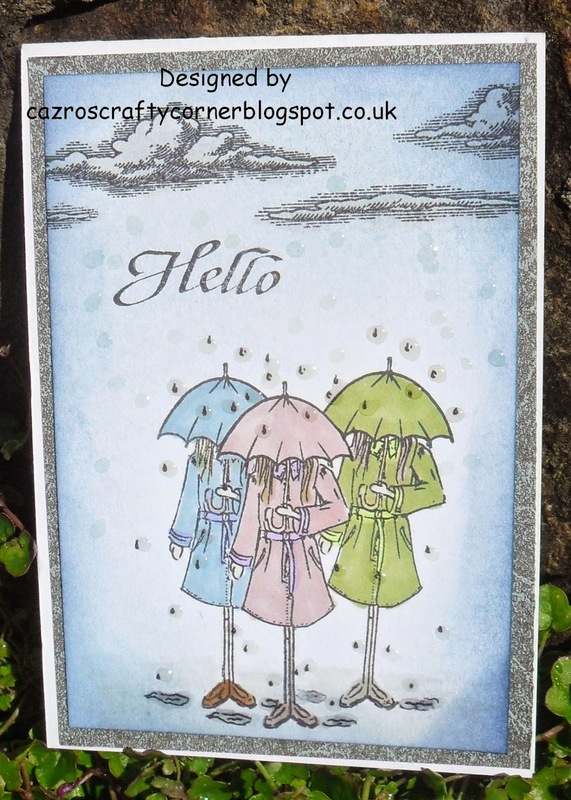 For the main image I used the sentiment stamp, again using the raindrops stamp. I tore and distressed the edges, rubbed them with Vintage Photo Distress Ink, I then stamped the little girl with her Umbrella and coloured her with Promarkers. I made the bow using my gorgeous Envelope Punch Board. I added glossy Accents to many of the raindrops, which you may see if you click on the picture. I am hoping the rain quickly dies away, it would be nice to see some more sun. Hi everyone, it's Friday, and we are up to the letter F at Alphabet Challenges, Avril has chosen for the challenge Feathers. At first you may think not a lot of choice, but the more I thought, there is a world of Feathers out there, loads of wonderful birds with their feathers, feathers adorning magnificent dresses, feathers in Indian countries, feathers decorating Dream Catchers, fishermen use feathers on their lines. Sometime ago I purchased Sarah Hallum's first Zentangle CD which is amazing, I decided to simply go with an image of a Zentangled Feather, if you click to enlarge, the designs within the feather are amazing. 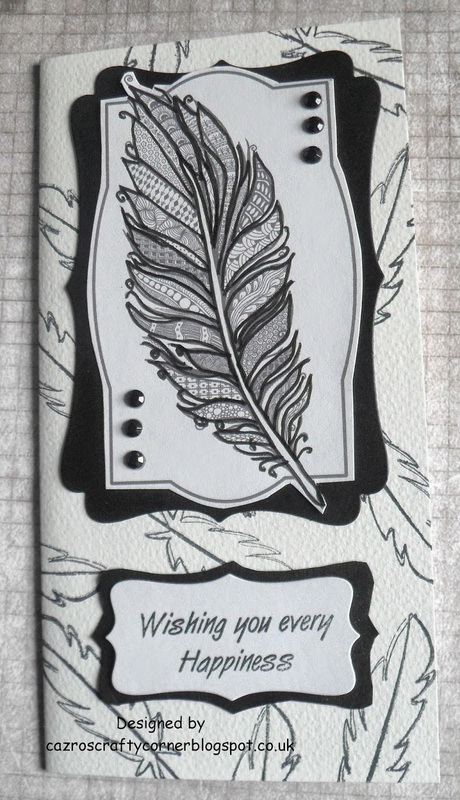 I used a small feather stamp, free with a Craft Stamper magazine issue, for the background of the card. I look forward to visiting you and thanks to those who took the time to visit my blog and for any comments left. I know, I know, we've just had Easter and here I am entering a Christmas Challenge. I have just discovered this challenge blog, Christmas Challenges All Year Round, I need to be getting cards made well ahead, not only for my personal use but for my chosen charities, what better way than having some fun along the way. The challenge for this week, yes, it is a weekly challenge, is this sketch. I hope you have all had a lovely Easter and are ready to get back to crafting. We have a super challenge for you over at Cardz 4 Guyz, we would like to see your paper craft creation showing anything with wheels. The eight Design Team members have covered five different wheeled methods of transport, I know there are more, plus whilst we all went for wheeled transport there are other types of wheels around, so you can see how open this challenge for male orientated, young or older guyz is. Greatly looking forward to those who accept the challenge. For my card this week, I created a stepper card. I used papers and designer sheets from a Debbie Moore Shabby Chic Travel CD. Reminds me so much of my youth, I suppose I was a bike chick but didn't know it then. 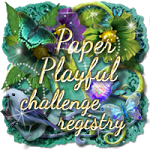 To remind the visitors to the challenge blog, that we do accept anything in paper craft, ATC's, Fat Pages,Tags, Scrap Book Pages, boxes, I also added a scrap book page I made a number of years ago, with members of my family at a Vintage Rally. Please note the two young boys are now 18 and 19 year old. Hello everyone, nice to be back at CD Sunday Challenges. Sending warm Easter good wishes to everyone, hope you all have a splendid time, whether your with family or on your own, know my thoughts are with you. This week is a favourite of mine, anything to do with Art Deco and I'm happy, this week our challenge is Deco Drama My card this week is a square white card. 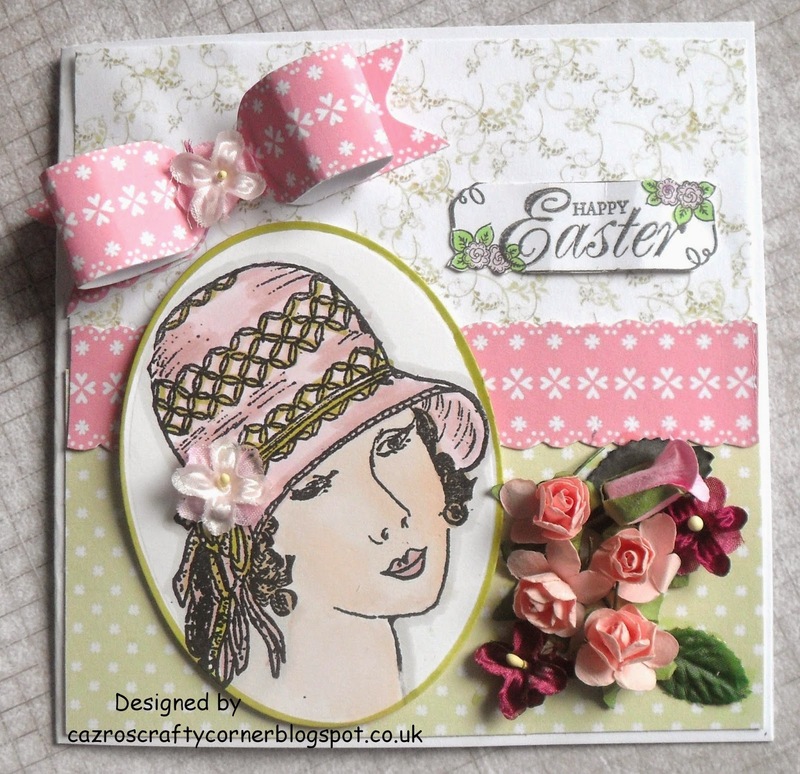 I used papers from Art Deco Glamour DVD from Debbie Moore. Aren't the lace papers just wonderful, looks so like real lace. I matted the printed circle onto first black card then gold mirri, adding a little dimension. I added pearls, gold and silver glitter and lots of diamante stones, very decadent but then that is what Art Deco is, isn't it? I love the striking black flowers,with little black gems which stand proud from the flower shape. I am so looking forward to visiting you all this next week, to see your wonderful Art Deco, so it's time to raid your stash and get out as much bling as you can find, enjoy your Easter then have fun creating your DECO DRAMA. Up, up and away is our theme for you this week at My Time To Craft, which gives you lots of options, please pop over to the main blog whee you will see the wonderful inspiration from the design team. I thought, of birds, planes, Hot air balloons, the latter reminded me in a set of stamps from Debbie Moore I had one of a little girl with balloons, who had never been inked, bless her. This is the card I made with her. Distress Inks, Vintage Photo and Tea Dye used for the bricks. Remainder balloons made from one of the balloons held by the girl. Flowers and leaves - used Tapestry leaves and flowers stamps. Promarkers to colour the sky and the little girl. Sentiment from Hobby Art stamps. I am so looking forward to visiting you and thanks to all who visit me, it is appreciated. Hello everyone, hope your sharing and enjoying the lovely warm spring days we've had recently. it would be nice to stay like this for Easter. For the next two weeks at Ruby's Rainbow we are asking you to accept the challenge of 'Ladies'. 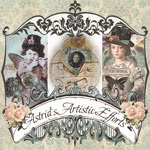 Please pop over to the website to see the wonderful array of ladies which the design team have made to inspire you. I will be honest , I have lots of varied ladies stamps, but this challenge gave me the opportunity to pull out this stamp, which doesn't get ink on it often and I do think it is a lot of fun. Dovecraft glitter glue added to the bubbles. Flowers and 'Happy Birthday' stamp from stash. I am so looking forward to meeting your ladies when I visit, thanks for popping in to see me. Pale blue, kraft colour, mint green. because I love colour, I love mixing all colour palettes. My indecision was quickly solved, I still had a pack of papers on my desk, from making a previous card and realised just how much I liked the colour combo. The design papers are from Sweet Pea, which I was so lucky to find at a Craft event at a greatly reduced price. This is the first time I have used a swing card, adding the papers. I think I made it more difficult than it need be, I'm sure I'll get the hang of it and be quicker next time. White swing card from Craftwork Cards. Elephant, baby and hearts stamps by Woodware . Designer papers from Sweet Pea for the card, I also paper pieced the elephant. I hope to see you over on the Sparkles Monthly blog, you have until 14th May to decide on your favourite combo and enter. Have fun and I wish well being to all. Hello everyone, so nice to have you visiting me, I thank you for your lovely comments and hope to see you visiting me again. 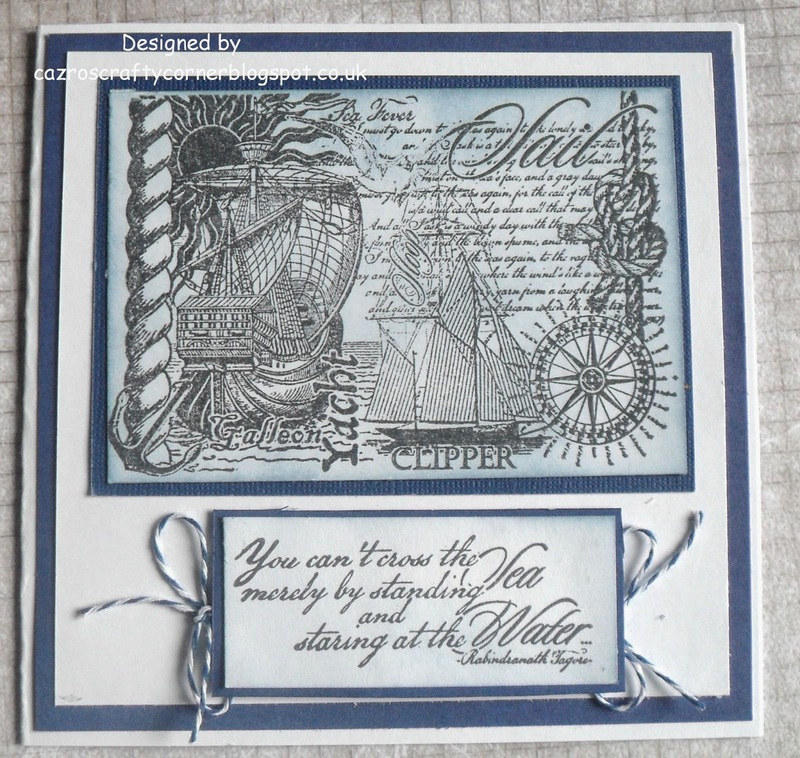 This week at Cardz 4 Guyz Kim has chosen for our challenge 'The Sky's the Limit'. I would say from this title this challenge is only limited by your imagination, for I assume anything which is within the limits of the sky will fit the challenge. Please remember the blog is for MALE orientated cards only. We welcome your projects for any age, as long as the design fits our theme challenge. So have fun. White, navy blue and red card stock. Stamps from Hobby Art.com - Flypast and Poppies set. The sky was coloured with Broken China Distress ink as a water colour. 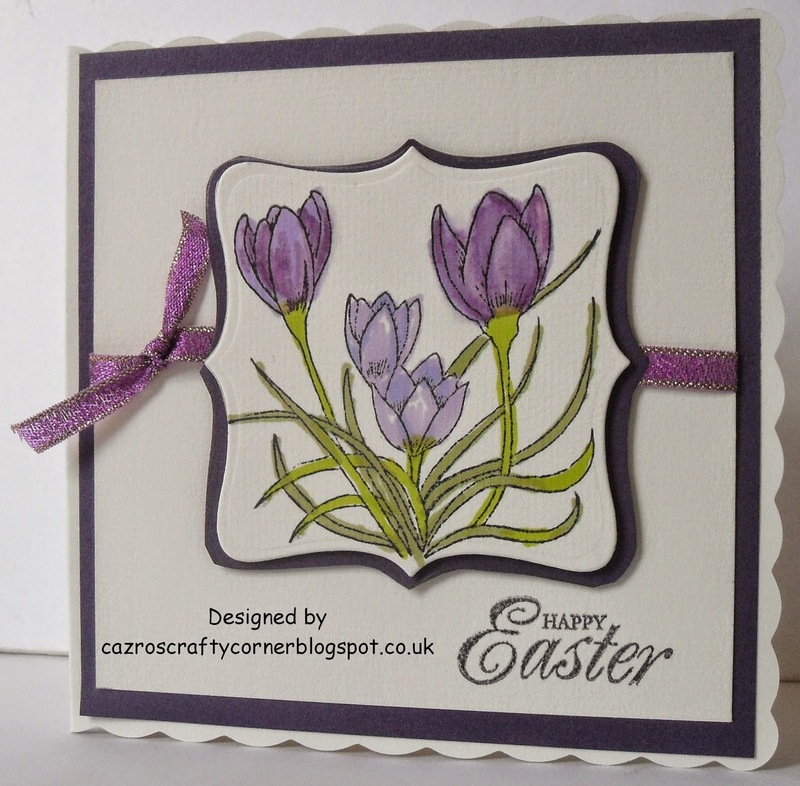 Please pop over to see the Design Team's amazing cards, for I am sue they will inspire you. I would like to enter this card into a new and interesting challenge blog I have discovered - Without Words. 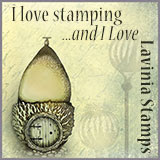 We have something different for you this week at Fantasy Stampers. Easter with a beautiful photo to inspire you. Lots of pretty spring colours. I first thought of wonderful paste eggs, we don't seem to have them nowadays, the younger generations are more inclined towards chocolate eggs, I then thought about the song 'In my Easter Bonne,t with all the frills upon it' la la , so I went along with the thought of a pretty Easter bonnet. to make the bow and the centre border. I made the bow with my WRMK envelope maker, it was so easy. The lady stamp is one of two ladies in pretty bonnets I bought from E bay, - sorry there was no information on the make etc. The happy Easter greeting from a free set with a magazine. The frame for the greeting from a Kanban set of label stamps. The flowers and leaves are from my stash. 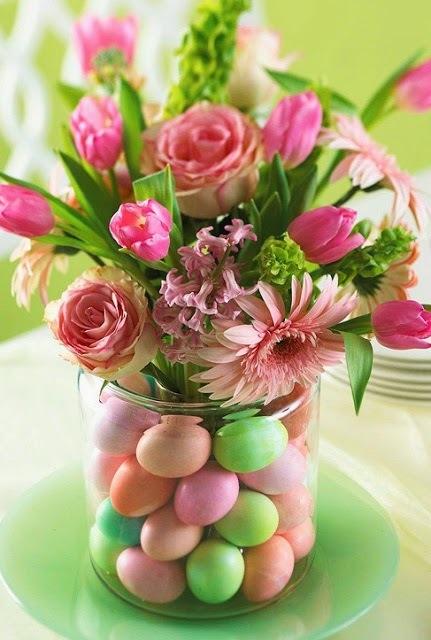 So, looking at the jar of coloured eggs and pretty flowers how does it inspire you, pop over to the blog to see how the Design Team were inspired., and hopefully we will see your project over the next two weeks. 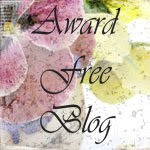 I am looking forward to visiting you ALL during the next week for it is my turn to choose the Top 3, please do visit the blog for the Design Team have a wonderful varied selection to inspire you. Have fun. 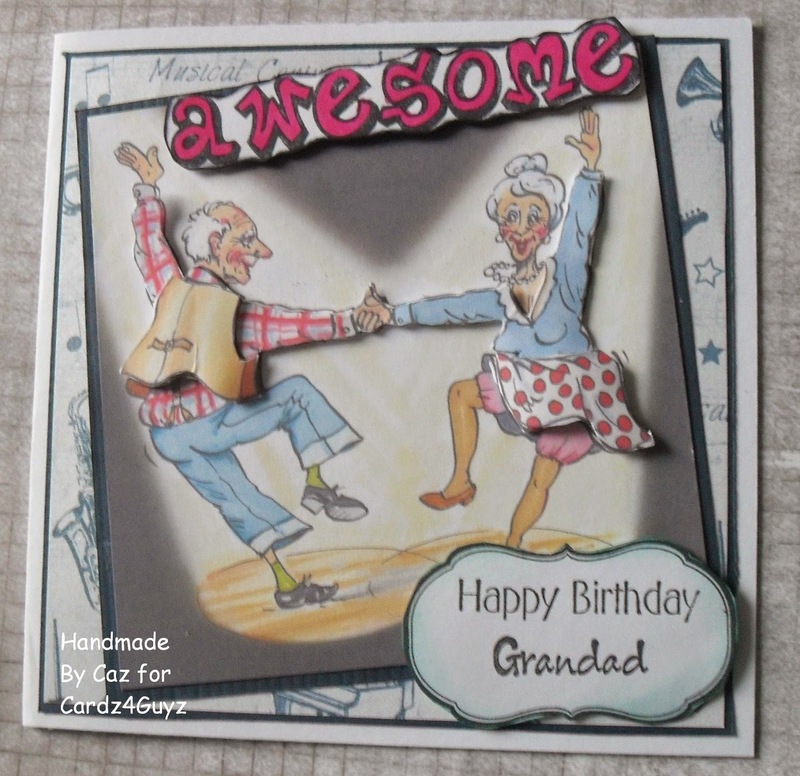 This week at Cardz 4 Guyz , Diane a recent DT member has chosen NUMBERS for our challenge. Anything which comes to your mind as long as it has at least one number, think out of the box or as I did, do you know anyone who is due a special birthday? Here is my card and this is the list of goodies I used. Beige paper and design paper from a bargain pack bought at an event. Card Candi from Craftwork Cards. I do hope you will pop over to see the wonderful work of the Design Team, we look forward to visiting you. Something Beginning with D - there are so many things this could be, I want to see a wide variety of choice. Have a bit of fun and search your CD's ladies (and any gents) for something amazing or even ordinary. 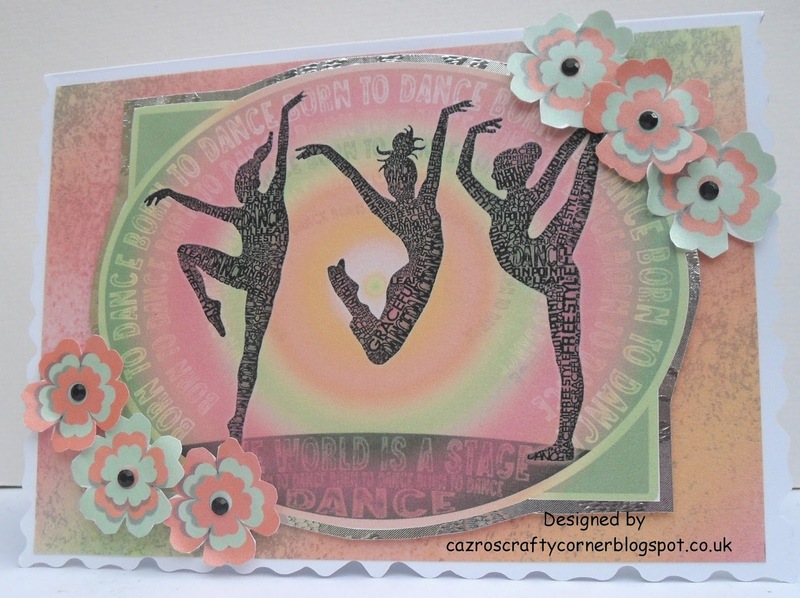 I had a look through the Word Play CD from Sarah Hallam of Peerless Designs and I found DANCE, I think it's amazing how she has included all the words within the dancers and the surrounding area.The flowers are from the CD 'Here Come the Girls' from Creative Crafting World. A perfect card for a young female dance, I don't know one. Ha Ha, but I'll add this card to my Salvation Army box. Looking forward to seeing you ladies all through the week. Take care. Hello everyone, so nice of you to pop in and visit me. 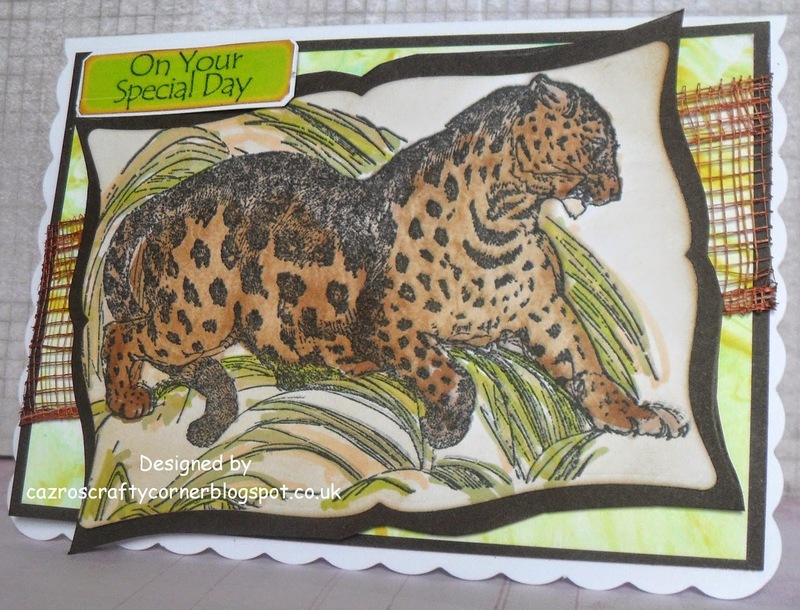 The challenge this week at My Time To Craft, is Wildlife, now we are expecting to see real wild life, as in jungles, safaris, mountains, we are so looking forward to seeing monkeys, lions, giraffes, tigers,anything you wish from the real wild world of animals. Good luck and have lots of fun. The background paper is one of many I made in my last Shaving Foam technique session. Have fun and go WILD. Clouds stamps from Indigo Blu. Glossy accents provide the rain drops - see better if you click on the pic to enlarge it. I promise no silly April Fool's Day jokes, don't really know any, but we at Cardz 4 Guyz are challenging you to 'Make Us Laugh', to celebrate this day. This is my choice, so I am hoping to see lots of fun projects, but please ladies and gents, please keep them in good taste, so everyone can enjoy them. 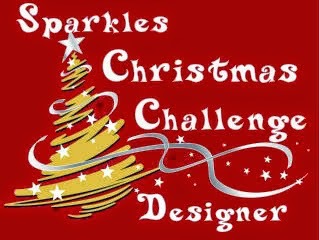 The DT have done a splendid job so please pop over to see the challenge and their creations. My card is from a CD ~ La Pashe, The Best of 2012. I think these 'wrinklies' are having such a lot of fun, wish I had their energy and fitness. They certainly brought a smile to my face. I am adding to Cuttlebug Mania - Make me smile challenge - I did use my 'bug to cut the greeting using a Go Kreate die- cut, hope this is acceptable. Have fun everyone, I hope to see your fun cards all of next week, looking forward to it. Thanks for visiting and for any lovely comments you may leave.